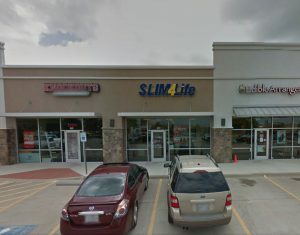 Our Lakeworth location is at S932 Quebec #136, Fort Worth, TX 76135. Our Lakeworth center is in the Landmark Lakes Shopping Center close to Best Buy. Lakewort h opened in 2009, our 5t h DFW location; we now have 15 locations in the Dallas/Fort Worth metro-plex. The staff at Lakeworth care about every individual client . Our clients can range from 8 years old to 90; male, female, seniors, children and teenagers. We personalize a program for each client wit h an individual approach. Holistic health and one on one counseling result in an accelerated weight loss; this is why our client s are Slim4Life. Make an appointment at our Lake Worth weight loss center today!